Dave Fanning has visited schools with Phil and his stories to help deliver the fire safety message. The children have always enjoyed listening to the stories and hearing about Phil’s exploits. Reading the stories to the children gives teachers the perfect vehicle to deliver that all important Fire Safety Message. We know how widely used Interactive Whiteboards are now in classrooms and what a great teaching resource they can be. 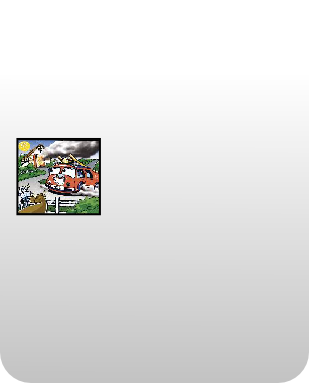 That’s why we have made Phil the Fire Engine available in PowerPoint so it can be presented on your Interactive Whiteboard for the whole class to see. 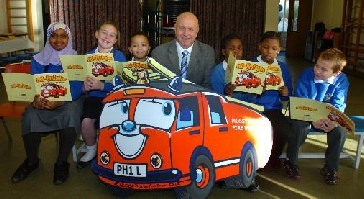 Pupils at St.Silas Primary School in Toxteth, Merseyside enjoying reading one of Phil’s adventures. Being married to a Primary School teacher, Dave Fanning is only to aware about how hectic teaching can be. Therefore, FREE suggested lesson activities have been produced to go along with the stories to help you use Phil in the classroom with your children. Just mention in your order that you would like the lesson ideas and we’ll gladly include them free of charge.